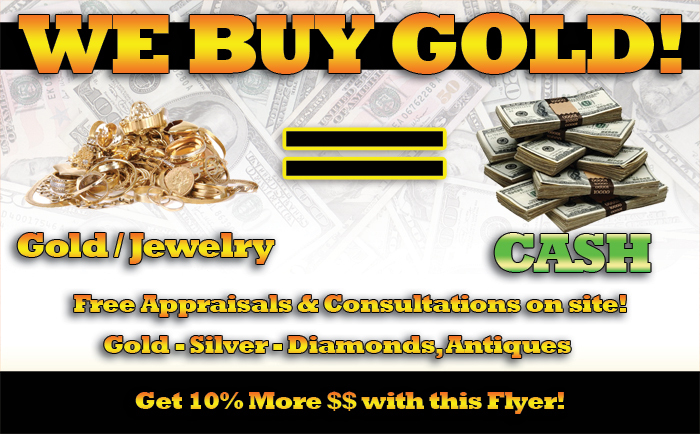 We buy Gold, Silver, Diamonds, Antiques! Top Dollar for Your Goods. Gold, Diamonds, Silver, Watches, Antiques, Computers, Musical Instruments, Video & Photo Equipment. We are multilingual - Please Come in to speak with us!